A keyboard is an essential and versatile computer accessory. Used by gamers and students, external keyboards make PC game play or typing notes on a tablet easier and faster. 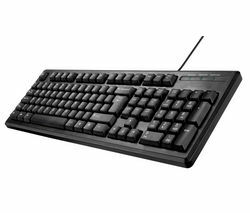 If you play PC games regularly, you’ll understand how a tailor-made keyboard can make your gaming experience smoother and better. Special gaming keyboards come with a variety of useful functions that you won’t find on a normal keyboard such as programmable buttons, backlit keys and mechanical switches. Gaming keyboards are ergonomically designed to make gaming more intuitive and enjoyable, but it’s not only gamers who need external keyboards. If you have a tablet, you’ll know how tricky it can be to type emails or take notes in lectures. A keyboard can speed up typing and make using your tablet easier. 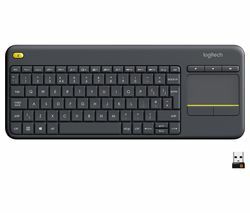 If you’re looking to upgrade the keyboard you use on your home computer, take a look at our full range of Microsoft keyboards. If you need to replace more than just your keyboard, we have mice and keyboard packages available to suit all budgets and requirements. Whether you want to make your life easier by adding a keyboard to your tablet or Kindle, or you simply want to replace your old or broken keyboard, we have a comprehensive range of affordable keyboards, including wireless and Bluetooth versions.